We can still win back net neutrality protections. Congress has the power to reverse the FCC's disastrous decision through the Congressional Review Act. We now have enough senators supporting the CRA to force a full Senate vote - so we need to make sure a majority of senators are standing with us. Send a message now to demand that your senators support people over big corporate interests by reversing the FCC's decision. As your constituent, I urge you to use the Congressional Review Act to reverse the Federal Communication Commission's decision to dismantle net neutrality. Four out of five Americans want net neutrality protections. Rolling back net neutrality favors major corporations' interests over the will of the people - and our free speech rights. Congress has the power to right this wrong by using the CRA to reverse the FCC's decision. The majority of your constituents support net neutrality and don't want net neutrality sacrificed to big corporate interests. 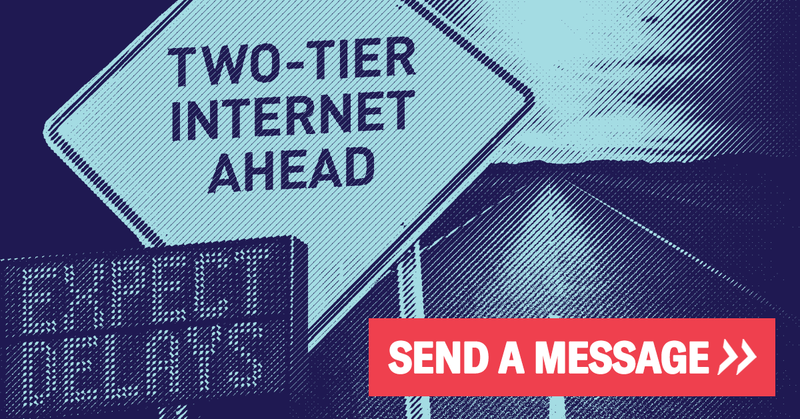 I call on you to use the Congressional Review Act to save our free, fair, and open internet.